Can India's Biometric Identity Program Aadhaar Be Fixed? The Supreme Court of India has commenced final hearings in the long-standing challenge to India's massive biometric identity apparatus, Aadhaar. Following last August’s ruling in the Puttaswamy case rejecting the Attorney General's contention that privacy was not a fundamental right, a five-judge bench is now weighing in on the privacy concerns raised by the unsanctioned use of Aadhaar. At home in India, the need for biometric identity is staked on claims that it will improve government savings through efficient, targeted delivery of welfare. But in the years since its implementation, there is little evidence to back the government's savings claims. A widely-quoted World Bank's estimate of $11 billion annual savings (or potential savings) due to Aadhaar has been challenged by economists. The architects of Aadhaar also invoke inclusion to justify the need for creating a centralized identity scheme. Yet, contrary to government claims, there is growing evidence of denial of services for lack of Aadhaar card, authentication failures that have led to death, starvation, denial of medical services and hospitalization, and denial of public utilities such as pensions, rations, and cooking gas. During last week's hearings , Aadhaar's governing institution, the Unique Identity Authority of India (UIDAI), was forced to clarify that access to entitlements would be maintained until an adequate mechanism for authentication of identity was in place, issuing a statement that "no essential service or benefit should be denied to a genuine beneficiary for the want of Aadhaar." The UIDAI was established in 2009 by executive action as the sole decision-making authority for the allocation of resources, and contracting institutional arrangements for Aadhaar numbers. With no external or parliamentary oversight over its decision-making, UIDAI engaged in an opaque process of private contracting with foreign biometric service providers to provide technical support for the scheme. The government later passed the Aadhaar Act in 2016 to legitimize UIDAI's powers, but used a special maneuver that enabled it to bypass the House of Parliament, where the government lacked a majority, and prevented its examination by the Parliamentary Standing Committee. The manner in which Aadhaar Act was passed further weakens the democratic legitimacy of the Aadhaar scheme as a whole. The lack of accountability emanating from UIDAI's centralized decision-making is evident in the rushed proof of the concept trial of the project. Security researchers have noted that the trial sampled data from just 20,000 people and nothing in the UIDAI's report confirms that each electronic identity on the Central ID Repository (CIDR) is unique or that de-duplication could ever be achieved. 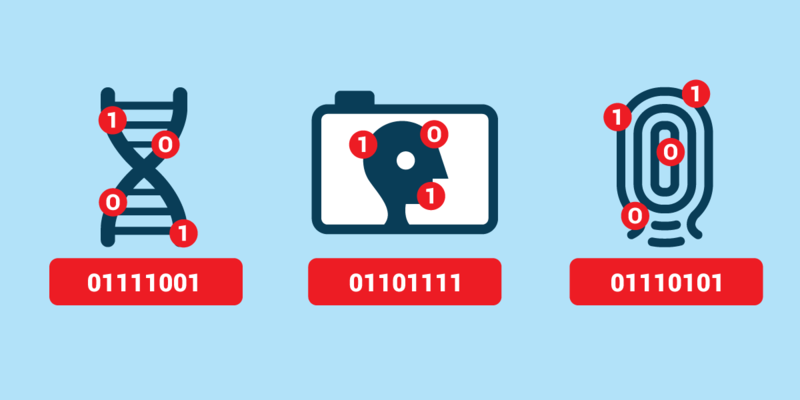 As mounting evidence confirms, the decision to create the CIDR was based on an assumption that biometrics cannot be faked, and that even if they were, it would be caught during deduplication. It emerged during the Aadhaar hearings that UIDAI has neither access to, nor control of the source code of the software used for Aadhaar CIDR. This means that to date there has been no independent audit of the software that could identify data-mining backdoors or security flaws. The Indian public has also become concerned about the practices of the foreign companies embedded in the Aadhaar system. One of three contractors to UIDAI who were provided full access to classified biometric data stored in the Aadhaar database and permitted to “collect, use, transfer, store and process the data" was US-based L-1 Identity Solutions. The company has since been acquired by a French company, Safran Technologies, which has been accused of hiding the provenance of code bought from a Russian firm to boost software performance of US law enforcement computers. The company is also facing a whistleblower lawsuit alleging it fraudulently took more than $1 billion from US law enforcement agencies. The UIDAI also outsourced the responsibility for enrolling Indians in the Aadhaar system. State government bodies and large private organizations were selected to act as registrars, who, in turn, appointed enrollment agencies, including private contractors, to set up and operate mobile, temporary or permanent enrollment centers. UIDAI created an incentive based model for successful enrollment, whereby registrars would earn Rs 40-50 (about 75c) for every successful enrollment. Since compensation was tied to successful enrollment, the scheme created the incentive for operators to maximize their earning potential. By delegating the collection of citizens' biometrics to private contractors, UIDAI created the scope for the enrollment procedure to be compromised. Hacks to work around the software and hardware soon emerged, and have been employed in scams using cloned fingerprints to create fake enrollments. Corruption, bribery, and the creation of Aadhaar numbers with unverified, absent or false documents have also marred the rollout of the scheme. In 2016, on being detained and questioned, a Pakistani spy produced an Aadhaar card bearing his alias and fake address as proof of identity. The Aadhaar card had been obtained through the enrollment procedure by providing fake identification information. An India Today investigation has revealed that the misuse of Aadhaar data is widespread, with agents willing to part with demographic records collected from Aadhaar applicants for Rs 2-5 (less than a cent). Another report from 2015 suggests that the enrollment client allows operators to use their fingerprints and Aadhaar number to access, update and print demographic details of people without their consent or biometric authentication. More recently, an investigation by The Tribune exposed that complete access to the UIDAI database was available for Rs 500 (about $8). The reporter paid to gain access to the data including name, address, postal code, photo, phone number and email collected by UIDAI. For an additional Rs 300, the service provided access to software which allowed the printing of the Aadhaar card after entering the Aadhaar number of any individual. A young Bangalore-based engineer has been accused of developing an Android app "Aadhaar e-KYC", downloaded over 50,000 times since its launch in January 2017. The software claimed to be able to access Aadhaar information without authorization. In light of the unreliability of information in the Aadhaar database and systemic failure of the enrollment process, the biometric data collected before the enactment of the Aadhaar Act is an important issue before the Supreme Court. The petitioners have sought the destruction of all biometrics and personal information captured between 2009-2016 on the grounds that it was collected without informed consent and may have been compromised. The original plans for authentication of a person holding an Aadhaar number under Section 2(c) of the Aadhaar Act, 2016 were meant to involve returning a "Yes" if the person's biometric and demographic data matched those captured during the enrollment process, and "No" if it did not. But somewhere along the way, this policy changed, and in 2016, the UIDAI introduced a new mode of authentication, whereby on submitting biometric information against the Aadhaar number would result in their demographic information being returned. This has created a range of public and private institutions using Aadhaar-based authentication for the provision of services. However authentication failures due to incorrect captured fingerprints, or a change in biometric details because of old age or wear and tear are increasingly common. The ability to do electronic authentication is also limited in India and therefore, printed copies of Aadhaar number and demographic details are considered as identification. There are two main issues with this. First, as Aadhaar copies are just pieces of paper that can be easily faked, the use and acceptance of physical copies creates avenue for fraud. UIDAI could limit the use of physical copies: however doing so would deprive beneficiaries if authentication fails. Second, Aadhaar numbers are supposed to be secret: using physical copies encourage that number to be revealed and used publicly. For the UIDAI whose aim is speedy enrollment and provision of services despite authentication failure, there is no incentive to stop the use of printed Aadhaar numbers. Data security has also been weakened because institutions using Aadhaar for authentication have not met the standards for processing and storing data. Last year, UIDAI had to get more than 200 Central and State government departments, including educational institutes, to remove lists of Aadhaar beneficiaries, along with their name, address, and Aadhaar numbers had been uploaded and available on their public websites. Can Aadhaar be secured? Not without significant institutional reforms, no. Aadhaar does not have an independent threat-analyzing agency: securing biometric data that has been collected falls under the purview of UIDAI. The agency does not have a Chief Information Officer (CIO) and has no defined standard operating procedures for data leakages and security breaches. Demographic information linked to an Aadhaar number, made available to private parties during authentication, are already being collected and stored externally by those parties; the UIDAI has no legal power or regulatory mechanism to prevent this. The existence of parallel databases means that biometric and demographic information is increasingly scattered among government departments and private companies, many of whom have little conception of, or incentive to ensure data security. Second order tasks of oversight and regulatory enforcement serve a critical function in creating accountability. Although UIDAI has issued legally-enforceable rules, there is no monitoring or enforcement agency, either within UIDAI or without, to see if these rules are being followed. For example, an audit of enrollment centers revealed that UIDAI had no way of knowing if operators were retaining biometrics nor for how long. UIDAI has also neither adopted, nor encouraged reporting of software vulnerabilities or testing enrollment hardware. Reporting of security vulnerabilities provides learning opportunities and improves coordination; security researchers can fulfill the critical task of enabling institutions to identify failures, allowing incremental improvements to the system. But far from encouraging such security research, UIDAI has filed FIRs against researchers and reporters that uncovered flaws in the Aadhaar ecosystem. As controversies over its ability to keep its data secure has grown, the agency has stuck to its aggressive stance, vehemently refuting any suggestion of the vulnerabilities in the Aadhaar apparatus. This attitude is perplexing given the number of data breaches and procedural gaps that are being uncovered every day. UIDAI is so confident of its security that it filed an affidavit before the Supreme Court in the Aadhaar case which claims that the data cannot be hacked or breached. UIDAI's defiance of their own patchy record hardly provides much cause for confidence. The current Aadhaar regime is structured to radically centralize the implementation of Indian government and private digital authentication systems. But a credible national identity system cannot be created by an opaque, unaccountable centralized agency that chooses not to follow democratic procedures when creating its rules. It would have made more sense to confine UIDAI's role to maintaining the legal structure that secures the individual right over their data, enforces contracts, ensures liability for data breaches, and performs dispute resolution. In that way, the jurisdictional authority of UIDAI would be limited to tasks where competition cannot be an organizing principle. The present scheme has created a market of institutions that use Aadhaar for authentication of identity in the provision of services with varying degree of transparency and privacy. The central control of the scheme is too rigid in some ways, as the bureaucratic structure of Aadhaar does not facilitate adaptation to security threats, or allow vendors or private companies to improve data protection practices. Yet in other ways, it is not strong enough, given the security lapses that it has enabled by giving multiple parties free access to the Aadhaar database. By making Aadhaar mandatory, UIDAI has taken away the right of individuals to exit these unsatisfactory arrangements. The coercive measures taken by the State to encourage the adoption of Aadhaar have introduced new risks to individuals' data and national security. Even the efficiency argument has fallen flat, as it is negated by the unreliability of Aadhaar authentication. The tragedy of Aadhaar is that not only does it fail to generate efficiency and justice, but also introduces significant economic and social costs. All in all, it's hard to see how this mess can be fixed without scrapping the system and—perhaps—starting again from scratch. As drastic as that sounds, the current Supreme Court challenge may, ironically, provide a golden opportunity to revamp the fatally flawed existing institutional arrangements behind Aadhaar, and provide the Indian government with a fresh opportunity to learn from the mistakes that brought it to this point.